Turn your Continental Breakfast into Brunch! 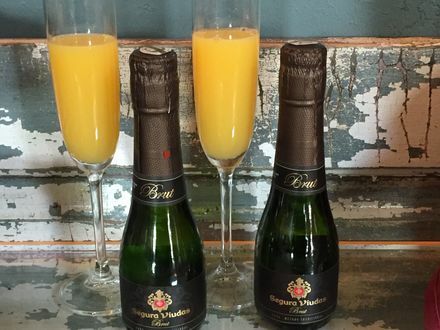 Enjoy two 187ml bottles of Sparkling Cava with your orange juice at Breakfast! Amador Uncorked is a safe way to experience Amador Wine Country. Local guide, Justin Lewis is focused on providing great hospitality. This tour includes four hours of transportation in a 2016 Chrysler Town and Country Van for two people for $150 ( a $10 savings!). Start time is 10:30 - 11:30 with pick up at Rest. Lunch and Tasting fees are not included. We encourage you to order a lunch from our neighbors at the Amador Vintage Market. Justin will have a cooler for your lunch items and any wine you purchase. Must book tour in one week in advance. Ocasionally shorter lead times are available - especially mid week. We will confirm tour for you. 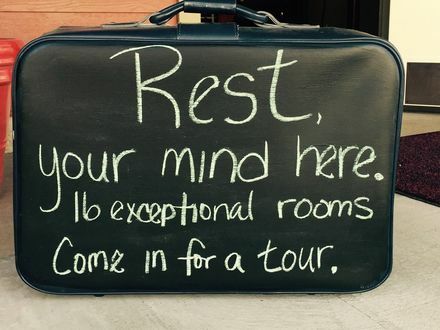 Please indicate day, time and number of guests for tour when making reservations. Justin will follow up with you to confirm your reservation. 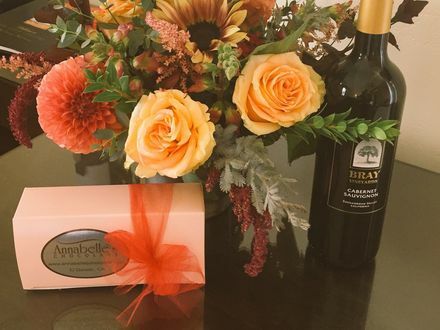 A box of locally made chocolates, a seasonal bouquet of flowers, a personalized card and your choice of sparkling wine, local red or white wine or non-alcoholic wine/cider. $95. Please indicate your choice of beverage and message for personalized card. 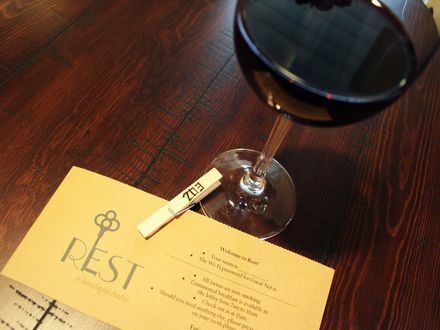 Rest welcomes your well behaved and trained traveling pooch. All rooms on the first level are pooch friendly. The charge is $35 per stay for one dog and $55 per stay for two dogs. 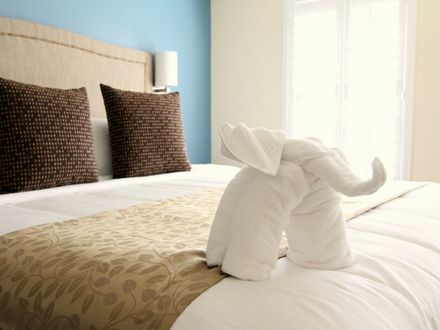 Each pooch will receive a welcome treat package and be provided with a comfy bed. 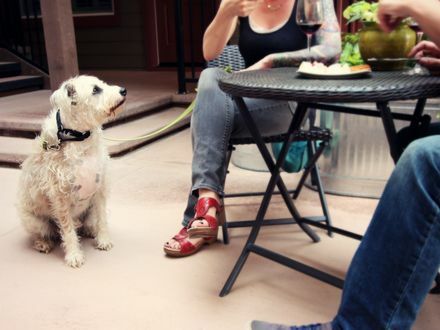 We ask that you keep your pet on leash when not in your room. Please do not allow the pets on the furniture and do not leave them unattended in the room unless in a crate. You will be responsible for any damage caused by your pets. Please note that you will be required to provide current vaccination proof prior to arrival. Our own dogs love both of these establishments and come home happy and tired! Enjoy a sixty minute massage in your room delivered by an exceptional certified massage therapist. Please note in your reservation the date and a three hour time frame for booking the massage. Please reserve your massage a minimum of forty-eight hours prior to your arrival. We will call and confirm a time with you upon booking. Enjoy a ninety minute massage in your room by an exceptional certified massage therapist. Please reserve forty-eight hours prior to arrival. Please note in your reservation the date and a three hour time frame for booking the massage. We will call you to confirm an appointment time upon booking.